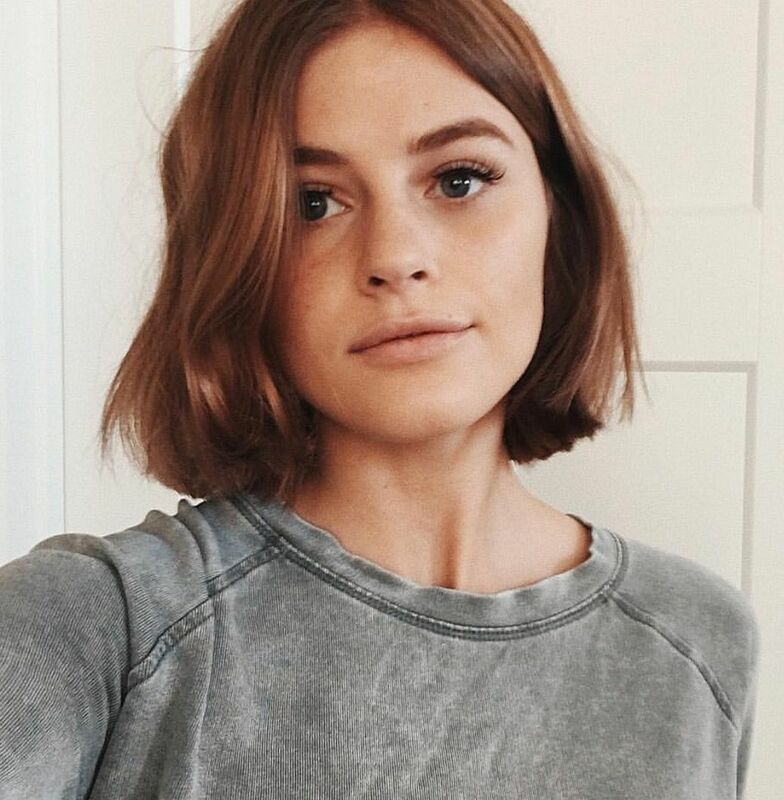 I’ve written about my skin a lot as of late, whether it’s been the trials and tribulations of eczema and allergy tests or my rare autoimmune skin condition, and so by now you probably know that my skin has some issues. As such, I take skin care pretty seriously. The choices I make for my skin are ever-changing, especially since that surprise bout of eczema, but I do have a few firm favourites that work very well for my sensitive skin. I figured I’d talk you through a few of them today as I seriously rate them and would recommend them if you have similar skin problems. If you’ve been reading here for a while several of these will be familiar to you. 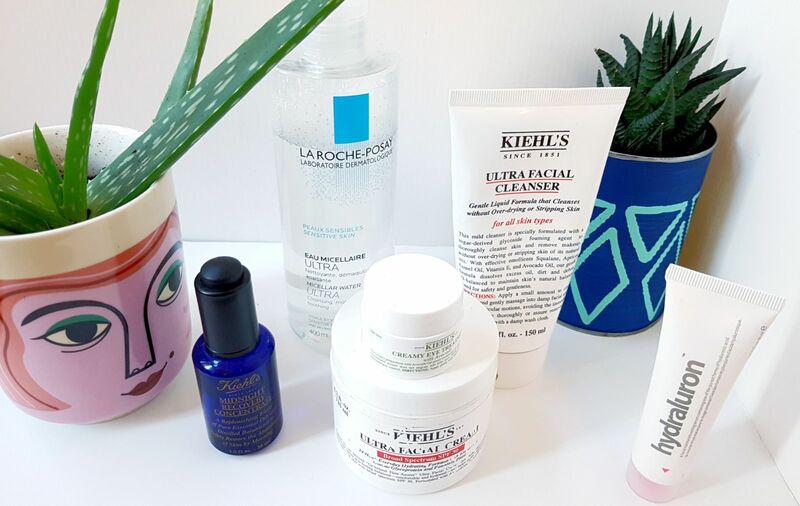 I’m a big fan of Kiehl’s products, even mentioning their Ultra Facial Cream in my first ever blog post (which I’m not linking here because no one deserves that). I’ve found that the majority of Kiehl’s products don’t aggravate my skin; even if I don’t absolutely adore a product I know that it’s safe and I can count on it not to harm my skin. The Ultra Facial Cleanser is one of these safe products; it cleans my face without drying it out or irritating it, but it’s a pretty simple cleanser. This is close to running out and I do fancy trying something new; I’m thinking the cult favourite Oskia Renaissance Cleanser is worth a shout, as Oskia has a pretty good reputation for sensitive skin. However, it’s nice to know that I can always fall back on this is my skin has a bit of a freak out. It’s the same sort of story with the Ultra Facial Cream, an old favourite of mine. This is the SPF50 version, which is great because I burn in minutes but I find it a little heavier than the original formula. I would buy it again but in a smaller tub size so that I can mix up moisturiser more often and use different things in tandem. As much as people rave about the Avocado Creamy Eye Cream, I think it’s just okay. I feel like it hasn’t made any realy difference to my dehydrated under eye area for all the months I’ve been using it, but it definitely helped when my right eyelid was flaky and dry after an allergic reaction. It’s another great fall back but nothing incredible. The Midnight Recovery Concentrate really is incredible. I pat this all over my face before going to bed at least once a week and it not only seriously moisturises, but also really helps with redness. My skin is very pink-toned anyway, and any redness from city life, skin reactions or even spicy food turns me tomato-red; I find this really helps keep that under control. I smear a bit of Indeed Labs’ Hydraluron over the driest areas of my face before applying moisturiser. It’s packed full of hyaluronic acid for hydration and I find that I really need that extra bit of help in winter. It’s quite a siliconey (that’s not a work but roll with me) formula, and if I don’t give it chance to soak in before applying moisturiser it will pill which is very irritating, so it’s one of the first steps I do after a shower. I’ll sometimes follow this with another serum but I just ran out of my Avene one so I’m looking for something new. La Roche Posay is another of those brands that I can always trust to look after my skin. I always use this micellar water to take off my makeup before cleansing properly, or just as a single cleanse if I haven’t worn any makeup. My boyfriend uses it as well, and I like it because it’s cheaper than Bioderma and doesn’t give me filmy eyes like Garnier. Job done. Sticking with La Roche Posay, I’ve found that the Lipikar Shower Gel is one of very few shower gels that doesn’t foam up like mad and dry out my skin. It’s unscented so a little boring, but it’s worth it to not have eczema. I use this daily and despite it being a relatively recent purchase, I think this is something that will always be in my collection. 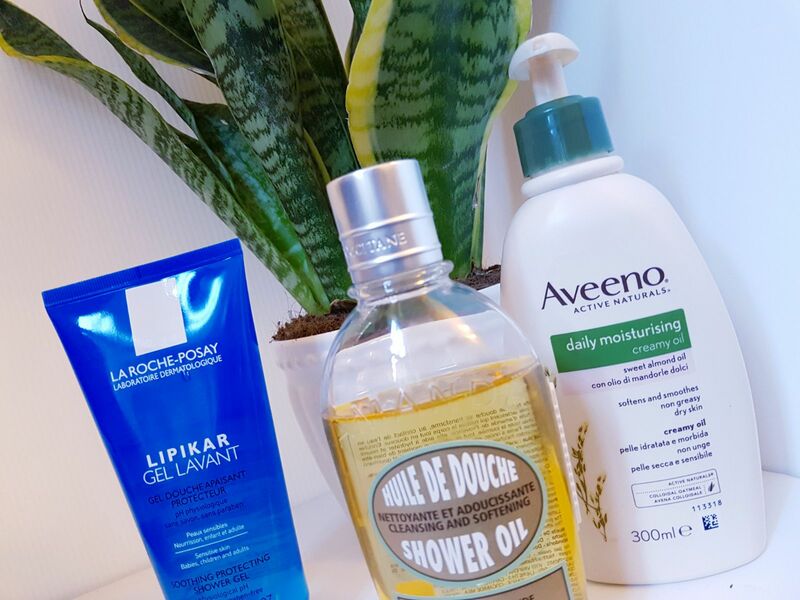 The L’Occitane Almond Shower Oil is much more of a luxury shower product; I use it every few days and love the way that it foams up a little but the oil is incredibly moisturising. I love the smell of almonds and this just makes my shower that little bit more special. It never irritates my skin and I just adore it. Until recently, I never really bothered with body moisturiser. I don’t like how it takes ages to soak in and can leave you feeling sticky and a bit gross, but it’s become essential to manage my eczema. I now apply moisturiser twice a day and honestly, it’s a pain in the arse. I’ve been using this Aveeno Moisturising Cream and it’s just okay. It does the job, but I wish is absorbed a bit faster. If anyone has any recommendations I’d love to know about them, as this stuff is just okay. It gets the job done but is nothing special. This is the first skin care or beauty post I’ve done in a long time, but a few new makeup purchases I’ve been loving lately may make their way onto the blog soon, so keep an eye out for that!